Geographical indications, a European invention, have attracted interest in a number of developing countries. According to several speakers at a recent industry conference on the subject, GIs can provide economic sustainability for rural families. In Africa, two cases were provided to illustrate the role of the valorisation of a particular resource and the ancestral know-how of women, promoting their social and financial autonomy. The Geneva-based Organization for an International Geographical Indications Network (oriGIn) and the Association of European Regions for Products of Origin (AREPO) organised on 21 May a conference entitled, “Geographical Indications in the 21st century” gathering a number of producers and manufacturers, some of which came from developing countries. Geographical indications (GIs) refer to collective intellectual property protection referring to products having a specific geographical origin from which they derive particular qualities, reputation or characteristics. One speaker was Carole Tawema, director and founder of Karethic, a Benin-based organisation with an office in France, representing groups of woman producers of shea butter, and marketing shea butter products. Tawema told Intellectual Property Watch that shea butter is produced in 17 African countries, and in each of those countries, the shea butter has a different texture, colour and smell. Shea butter is an activity that has traditionally been in the hands of women, she said. It is the sole activity in those 17 countries that is recognised as a woman’s activity and is revenue-generating for them in rural areas, she added. Women, who are highly involved in agriculture, the main economic activity in developing countries, are often not owners of the land, according to Tawema, and often do not benefit from the economic benefit of their work. A geographical indication for shea butter would valorise the only know-how which is recognised by men as belonging to women and for which they can keep their revenue. 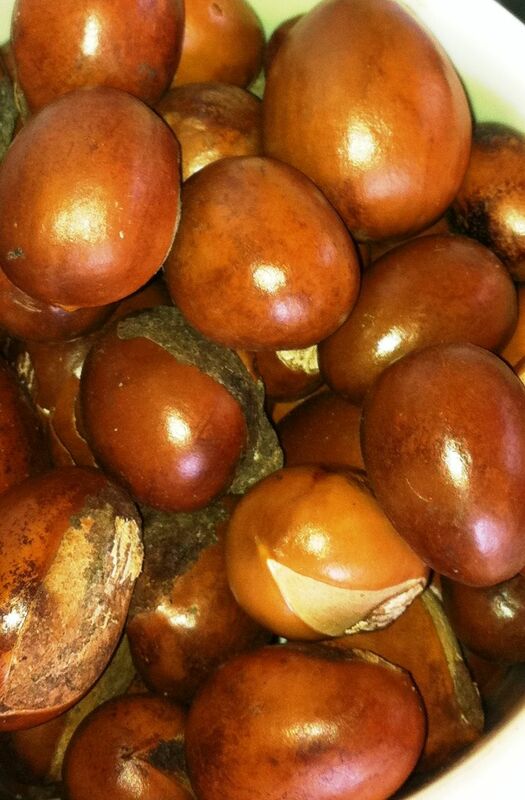 Shea butter is extracted from the pit of the fruit (shea nut) of the shea tree. This process is a women’s tradition and comes from an empirical knowledge that has been transmitted from generation to generation, she said. The first written record of the shea butter in Africa dates back to the 14th century, she added. The GI approach that has been considered by Karethic is meant to valorise women’s activity linked to tradition. On a more spiritual dimension, Tawema said shea butter also represents the sacred link between the tree and women, in their shared dimension of life-giving. Getting a GI would also serve to protect the resource. Currently, 500 producers belonging to 11 cooperatives are contributing their production to Karethic. Some 28,000 women are active in the sector in Benin, she said. This number reaches 16 million women in the 17 producing countries. However, industrial production of shea butter by multinationals and industrial companies, which serves first the export market, is not regulated and hinders the availability of shea butter on the local market, she said. On the way to obtaining a GI certification is the challenge to prove the typicality of each different shea butter, their chemical and biological differences, Tawema said. In the long run, one or several GI certifications could promote the biodiversity of shea butter and the cultural diversity of the women producing it in Africa, she said. Promoting the production of traditionally made shea butter will provide African women with economic autonomy and could foster South-South trade, she said. Other products could also be GI candidates, such as shea honey, which is a rare product whose taste is extremely sweet, she explained, often used as an antiseptic, more medicine than sweetener. The association is working with the Organisation Africaine de la Propriété Intellectuelle (OAPI), and with French Institut National de l’Origine et de la Qualité (National Institute of Origin and Quality) to give shea butter a GI recognition. Specifications have already been established, she said. Each country has to individually recognise the GI, and they want to start with Benin. 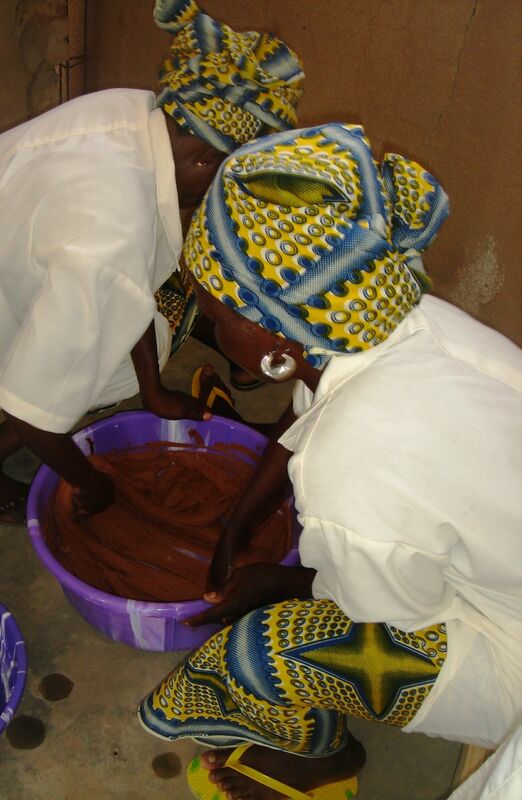 Another purpose of the promotion of traditional shea butter is the reintroduction of shea butter in beninois food, which has suffered from the competition of different imported oils, and to increase its consumption locally. Traditional shea butter is already more expensive than lesser quality shea butter, she said. The price might increase once the certification is acquired, but this would be a direct repercussion of higher costs of certification, control and marketing, not an arbitrary increase of the price. Mohamed Ourais, president of Amigha, (L’Association Marocaine de l’Indication Géographique de l’Huile d’Argane – the Moroccan Association of Argane Oil GI) told Intellectual Property Watch that women are working in argane production almost all along the production chain, from the collecting of the raw material through all steps of the process. Argane and its valorisation through a GI is contributing to reducing economic precariousness, and increasing socio-economic conditions of women in Morocco, he said. Argane oil also plays a role in ecological sustainability as argan trees are acting as rampart against the encroachment of the desert. If producers do not find any economic benefits, argan tree forests will not be maintained and will let the sand move forward, he said. Some 600 hectares are already lost to this fight every year, he added, presenting the encroachment of the desert as an effect of climate change. In 2009, as argan oil obtained its GI recognition in Morocco, an enthusiastic Zoubida Charrouf, then general secretary of Amigha told Intellectual Property Watch that the next step would be to seek European recognition (IPW, Trademarks/Geographical Indications/Domains, 1 July 2009). During the OriGIn General Assembly, on 20 May, Charrouf said a lot of money has been invested in the argane oil GI since 2009 without the GI being recognised in Europe. A lot of work has been carried out without any results, she said. “I am really disappointed,” she added, asking for OriGIn to provide help for small producers to register their GI in Europe. According to Ourais, in 2011, the request was put to the European Union to recognise the argane oil GI. The EU, said Ourais, blocked the request because they needed the producers’ association to get the accreditation of a verification body, which was not yet set up in Morocco. In order to save time, Amigha asked Cofrac (the French certification agency) to deliver this accreditation, but the EU asked Amigha to wait until the Moroccan certification agency was set up, according to Ourais. Another issue arose when Amigha asked that the GI be on the name “Argane,” which is the traditional Moroccan name given to argan oil, he said. According to Amigha’s website, the name appears in texts dating back to the 12th century. The EU proposed to register “Argane from Morocco,” to which the association opposed a refusal because it could open the door to other argan oil, while this product is typically from Morocco, Ourais said. “Argane” was registered as a trademark in Europe by Pierre Fabre, a cosmetic laboratory, in 1983, he said. Amigha approached them to try to find an arrangement but in the meantime, a legal dispute opposed Pierre Fabre with a third party and the Paris Tribunal decided in December 2010 to invalidate the trademark. After Amigha can obtain the accreditation from the Moroccan certification body, they will go back to the EU with a view to have the GI protected in all European countries, Ourais said. The concept of a GI is a new concept in Africa, Lionel Guezodje, president of the Federation des Unions de Producteurs du Bénin (federation of Benin producers), said during the OriGIn General Assembly. In Benin, there is a massive import of frozen chicken coming from the EU and Asia, a large part of which is re-exported towards neighbouring countries, he said. Guezodje is trying to promote a local breed, the Zado chicken, which had been neglected. Twenty producers were grouped and have committed to follow a series of production and marketing specifications. The target market is restaurants of large urban centres in the South of Benin, he said. The producers’ association is working towards registering the collective mark and the GI in the long term, as the link to the territory has to be established, he said. The project has served the goal of designing a better organisation for producers, Guezodje told Intellectual Property Watch. It also has helped professionalise the entire branch, although having the producers work together had been a challenge at times. Guezodje also expressed reservations about whether the EU model of GIs could be directly applicable to Africa. "Protection Of Local GI Products Can Benefit Women, Speakers Say" by Intellectual Property Watch is licensed under a Creative Commons Attribution-NonCommercial-ShareAlike 4.0 International License.